Maintaining a clean outdoor area can be a lot of work. Whether you own a large piece of property or you work in landscaping, you know that there is no limit to the kind of debris that can get in the way of a perfectly manicured lawn. In spring and summer, you have to deal with grass clippings that, if left in large piles on your lawn, can starve out the grass underneath and leave unsightly brown patches. The same is true for autumn; clumps of leaves can do a lot of damage to your lawn if left unchecked. Even without these seasonal hassles, you still have dirt, plant clippings, and for large commercial lots, general light trash that can really take away from your yard’s overall appearance. So, what do you do? For smaller lots, you could simply sweep up loose debris, but this presents a handful of problems once you get a larger lot or are less physically able; you simply won’t be able to make enough of a difference by hand to matter. What you really need is a tool that is both robust enough to move large amounts of light yard debris but simple enough that it is affordable and user-friendly enough for both professional landscapers and homeowners to use with equal ease. What you need is a well-built, lightweight leaf Blower backpack to help you cut out a lot of work in your yard or on the job site. 2 Who Can Or Should Use Backpack Blowers? 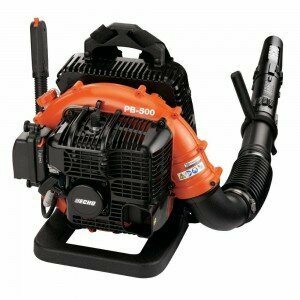 2.1 What Should You Look For in the Best Gas Leaf Blower? 2.2 Who Are the Major Gas Back Pack Blower Brands? With all this knowledge presented, often times homeowners and professionals are in a hurry, don’t want to siphon through a number of backpack Blower reviews, and just want the bottom line. What are the top rated backpack Blowers? Fortunately we’re here to answer that question with our listing of the top 3 Blowers available today. 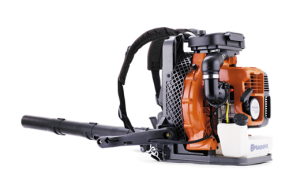 When you find yourself in a situation where a heavy-duty backpack Blower is too much and a handheld unit isn’t enough, you should look to the Husqvarna 350BT Midsize backpack Blower. Designed to be the perfect balance between power and control, the 350BT comes loaded with features to make even the toughest jobs as easy as possible. (Read our full review here). For starters, you’ve got a 50cc 2 stroke 2.1 horsepower motor that, when combined with Husqvarna’s X-Torq airflow design, can give you blowing speeds of up to 180 miles per hour, perfect for moving grass, leaves, or even some heavier debris without the need for a rake and broom. Ignition and maintenance are both simple on this model as well; just prime your engine by pumping the clear bulb, close the choke, pull the start handle, and open the choke, and you’re ready to go. As far as maintenance, the 350BT is built out of simple parts that are easy to understand and, more importantly, easy to reach; the spark plug connects right on the top, the air filter can be changed without tools, and because the engine is a 2-stroke, there’s no need to worry about oil mixture. Even if you have no idea how engines work, you’ll still be able to figure out and use the Husqvarna 350BT to tackle all of your toughest home projects. Not only is this an easy backpack Blower motor to maintain and use, but it’s incredibly easy to carry as well. The weight of your motor gets spread all across your shoulders and hips, thanks to the padded shoulder straps and hip belt. Not only does this reduce regular fatigue, but this backpack and belt setup keeps your Blower from getting off-balance, keeping you comfortable even at difficult working angles. Of course, when 180 miles per hour is too much, you can easily adjust your Blower’s speed down to something lower right on the ergonomically designed handle, giving you a great balance of comfort and control while working. You’ve even got a cruise control, so you don’t need to tire out your trigger finger during long jobs, making this backpack Blower perfect for young and old alike. For your toughest jobs, you need one of Husqvarna’s toughest backpack Blowers. Whether you’re a professional who demands the very best or a homeowner with a larger piece of property, the Husqvarna 560BTS has all the power you need for even the most stubborn wet grass, wet leaves, or even snow and slush. 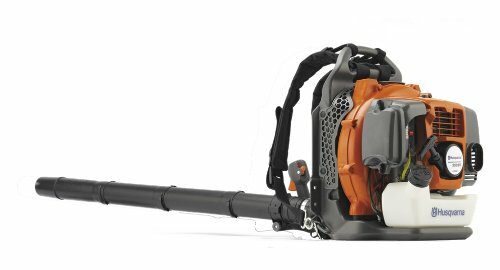 Like most of Husqvarna’s backpack Blowers, the 570BTS is both powerful and user-friendly. As a 2 stroke, you’re going to get a lot of power out of this model in a very simple package; even if you don’t know anything about 2-stroke engines, the design is so simple that, given a little research of your own, you’ll be able to figure out most problems. Startup is the same as all of Husqvarna’s other models as well, so anyone who has ever used one knows exactly what to do, and all of your major parts are outlined and numbered in your instruction manual. Both on and off the job site, the 570BTS is probably going to be one of your easiest tools to use and maintain. When you’ve got a large job with stubborn, wet debris, the Husqvarna 560BTS can really come into its own. In addition to the 65.6cc X-Torq 2 stroke engine that can put out 3.8 horsepower and a 236 mile per hour wind stream, the 560BTS comes equipped with a handful of features designed for professionals working on large areas. With a 74 ounce gas tank (nearly twice the size of the midsize Husqvarna 350BT) and a commercial grade double-filtration system, not only can you work for hours without needing to refuel, but your Blower’s air intake won’t be slowed down even in the dustiest conditions. To keep you comfortable, the motor is set up on a solid set of shoulder straps, spreading the weight around your strongest muscles and making your work that much easier; combine that with the ergonomic, adjustable throttle mounted directly on the nozzle at your side, and you’ll be able to move comfortably and naturally. Combining a powerful 4 stroke engine with an incredible degree of comfort, it’s no wonder why the Makita BBX7600N is the choice of professional landscapers and homeowners alike. Unlike a lot of your major commercial Blowers that require a fuel oil mixture to work, the BBX7600N has a dedicated lubrication system that’s both fuel efficient and saves you the trouble of mixing fuel. Of course, all this is done for a good reason; this 75.6 cc motor can put out a solid 195 mile per hour wind stream that’ll take care of all your major jobs, both commercial and residential. Because this machine was designed for tough work, it’s only right that they’ve done everything possible to make it both easy and comfortable to use. Thanks to the automatic mechanical decompression that quickly pulls air from your engine, starting your Makita Blower is incredibly simple; without all the extra air to contend with, it’s easy to get the exact right mix of fuel to get your engine started. In addition, your backpack rig is going to be padded in all the right places, both all along the back and the inside of your shoulder straps, designed to cut down on fatigue and keep you doing your job more comfortably for longer. Even basic maintenance on this model is a cinch; the spark plug, air filter, oil port, and drain plug can all be accessed without tools or any kind of disassembly, making it incredibly easy to keep your Makita in good working order. Finally, all this power comes down to a relatively low noise output of 74 db, making it okay for residential use and, with the right ear protection, keeping your ears safe even through long periods of use. It’s power in a comfortable package that both professionals and private citizens can both enjoy. Check out what else we have to say about the Makita. Who Can Or Should Use Backpack Blowers? Almost anybody can find a use for a good backpack Blower. For homeowners, having a backpack leaf Blower means that all the typical problems associated with lawns can be fixed with much less effort. Wide open lawns can easily be blown free of grass clippings, while yards with a lot of tree cover can be blown clear of leaves. If you’ve got a small amount of farmland, having a set of backpack Blowers around can be a real advantage; you can use them to clear harvested fields of loose plant matter, or simply use their high-power air to blow dirt and mud off your farm equipment. With the right attachments, you can also use your backpack Blower to clean out wood shops or, with a proper system, clean out gutters without climbing roofs or risking a fall. What this can do for the professional landscaper is cut down on a lot of tidying up, especially in large areas. A good commercial leaf Blower can clear trash and debris from a piece of property much faster than brooms and rakes, saving your energy for more important jobs. In fact, the right backpack Blower can save you from even having to scoop up any debris at all; the right Blower can easily turn into a vacuum, sucking everything into an easily dis-chargeable bag. Because this setup fits on your back and works with your body, not only is it powerful, but it’s worlds more comfortable than handheld leaf Blowers, enabling you to take care of everything in one pass. A good backpack setup can save your crew’s energy for more important jobs, letting you focus on details rather than labor and improving the quality of your job. 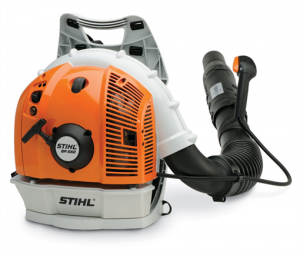 What Should You Look For in the Best Gas Leaf Blower? Because so many great backpack Blowers exist, it’s important to find the best backpack Blower for your needs. As mobile as you need to be, your top choices are going to be gas Blowers, so one of the first things you should look for is whether you need a 2 stroke or a 4 stroke cylinder motor. While you can usually get more power out of a 2-stroke motor, it’s going to be a little less efficient and require an oil mixture in your gas to work effectively. Meanwhile, some of the best gas leaf Blower setups are going to use 4 stroke motors that are going to be cleaner and a bit more user friendly, but they are also, on average, going to be more expensive. Another thing you’re going to want to look at when choosing a good backpack Blower are its emissions, both pollution and noise, as many are now CARB-Compliant. 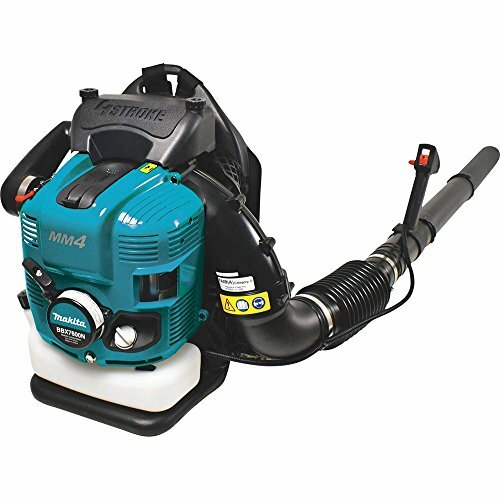 Depending on local laws (as well as your own tastes), you may find that you want a quieter gas backpack Blower in the city, while more rural buyers will want a more efficient model to save long refueling trips. Cylinder displacement, or power, is another aspect worth looking into on your Blowers. A higher cylinder displacement usually means that your engine has more torque and more horsepower, which translates into faster blowing speeds. Unfortunately, higher cylinder displacements also tend to use more fuel, so it’s important to balance the two. Of course, all of these factors need to be taken with comfort and ease of use in mind as well; if a backpack Blower hurts your back and arms, it matters significantly less how powerful or efficient it may be. 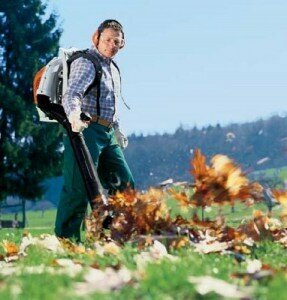 When picking a backpack Blower, it’s always good to take your own body type into consideration, as well as your health. Even though you can adjust shoulder straps and hip belts,these backpacks are designed to be worn for long periods of time, so make sure that the weight is something you can easily bear while working. Who Are the Major Gas Back Pack Blower Brands? Chances are, you’ve probably heard of all the major brands of backpack Blower if you know anything about outdoor power tools. 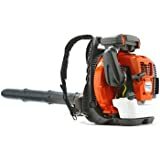 Some of the best backpack leaf Blower manufactures, however, are going to be Husqvarna, Makita, Troybilt, Echo and Stihl, all major players in the power tool industry and all producing products that get great backpack leaf Blower reviews. If you’ve used power tools from any of these manufacturers, you can bet that they put the same kind of care and quality into their backpack Blowers as any of their other tools, so previous experience will be a great judge for you in this case. If, however, you don’t have a particular brand preference, then you’re in luck; here, we’ve compiled a list of some of the best backpack Blowers on the market today all for your convenience, as well as a number of backpack Blower reviews from the likes of Husqvarna (our top pick) and others. Whether you’re a homeowner looking for a little help with yard work, or a landscaping professional looking for a new tool to help you out on the job site, we’ll do everything we can to help you find your perfect fit.